Mr. Langstaff has served as a member of the Board of Directors of Premier, Inc., since September 2016, and also is a member of the board’s Audit and Compliance and Member Agreement Review committees. Mr. Langstaff has been president of Argotyche, Inc., a consulting and advisory services company, since 2013. He also serves as board chair of Monitor 360, a narrative analytics and strategy company; as proxy board chair of MorphoTrust, a biometric identification company; and as a director of The Hitachi Foundation, Inc., a philanthropic organization. His prior career includes serving as the president and chief executive officer of TASC Inc., a defense contractor, as well as the founder, president and chief executive officer of Veridian Corporation, a NYSE-listed company specializing in mission-critical national security programs. Mr. Langstaff also served as chief executive officer and co-chairman of The Olive Group, a global integrated security company, from 2006 until 2007. 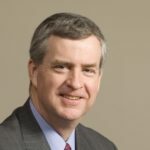 Mr. Langstaff currently serves on the Defense Business Board, which provides independent advice to the Secretary and Deputy Secretary of Defense, and has been associated with The Aspen Institute since 1998. He earned his bachelor’s degree and MBA from Harvard University.